Note: This blog post was originally published 09/16/16 and has been updated and republished on 07/05/18. Often parents will come into counseling with their teenager and I’ll learn that they are doing poorly in school, are uncooperative at home, and have developed few interests and skills. In these situations, parents will explain that they’ve been struggling with their teenagers for some time, just trying to get them to meet some minimal standard. “All we ask of him are Cs,” they’ll tell me. Sometimes their expectations have fallen extremely low. Parents who have come to hope their teenager meets only minimal standards are inviting ongoing problems that can have lifelong consequences. First of all, let’s be clear. High standards are not about achievement. getting into the best college. They might not be about getting into college at all. High standards are about character and the application of values. Giving one’s best effort, positive participation in one’s communities — home, school, town, and beyond — and resourcefulness, commitment, responsibility, cooperation, respect for self and others, accountability, kindness, and honesty. These are some of the more important values that need to be demonstrated and internalized by teenagers. These character traits don’t develop overnight. But with parental limits, support and guidance, kids learn from their mistakes, and grow and mature throughout their teen years. Sometimes it’s bumpy with lots of emotional and behavioral struggles, and sometimes it can be pretty smooth sailing. But at the end of the day, teenagers who learn to adopt high standards will be happy and successful, prepared for their young adulthoods and beyond. And yet so often, parents feel completely powerless and defeated in their efforts to provide leadership and establish high standards with their teens. Parents don’t start early enough. Developing high standards works best when they are taught early in life. When parents teach responsibility and good habits early, they are seen as part of life and are less likely to be resisted. It’s easier for parents to simply take care of home responsibilities than to take the time and effort to teach and require their kids to participate. Laundry, shopping, cooking and meal clean up, house cleaning, organizing their rooms, yard work, and so forth. These are all responsibilities that kids can participate in and when they do, they’ll learn good habits and skills. And when they participate as part of the family, it can be a good time for parent-teen connection. Some parents have a hard time setting and enforcing limits. Based on their temperaments and childhood experiences, many become conflict-averse and don’t want to struggle with their kids. Having kids with learning differences or mental health issues can be confusing. Often parents of kids with issues have a hard time knowing how to establish the right balance of high standards verses accommodation. Many parents, perhaps coming from unhappy childhoods, simply want their kids to be happy and so over indulge them and let poor performance slide. Very commonly, when parents don’t hold their kids to high standards, they will end up in a parent-teen Control Battle. And like any skill they practice, they get pretty darn good at it. Then when parents do have expectations, they are met with resistance. The more the parents try, the more the teen resists. 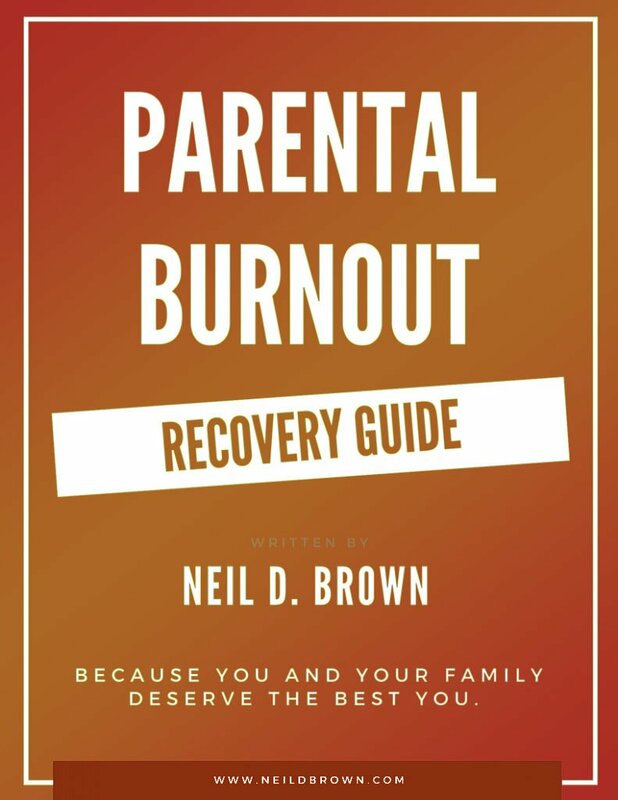 The resulting Control Battle can wear parents out, sometime resulting in parental burnout. As teen performance declines, the less the parents expect. Let’s see how this happened with Lamont (15) and his family. Janice called for an appointment about her son who was struggling in his sophomore year in high school. She reported that her son, Lamont, was at risk of failing and being sent to a continuation school for kids who can’t succeed in a main stream high school. She explained that both she and her husband had been trying to motivate Lamont for years, but they just couldn’t seem to get him going. I made an appointment for the parents and Lamont to come in together. As you might imagine, Lamont wasn’t happy about coming to a counseling appointment yet he did participate in a minimal way. I learned that Janice was a legal secretary for a local legal firm and Lamont’s dad, Shawn, was a police officer in a nearby town. Lamont’s older sister was a high school senior who does extremely well. She is an athlete and a scholar and has some college scholarship opportunities for next year. Lamont also has a younger brother in the eighth grade and he does very well in school and is a budding standout athlete, as well. Janice and Shawn reported that Lamont is athletically talented, too… he just didn’t like team sports or competing. He was always a bit shy and had a harder time making friends than his siblings. They explained that Lamont was diagnosed with learning disabilities in the fifth grade and he received extra help at school and did reasonably well. But his effort kept declining since the seventh grade and now he seems to have hit rock bottom. All he wants to do is hang out with his friends and skateboard. They’ve caught him smoking marijuana few times and are concerned that he could go further in the direction of substance abuse. Lamont reported that the teachers don’t like him, the extra help he got in school didn’t help much, and he didn’t want to be like his sister or brother like everyone expected. He just wanted to be himself. “What’s wrong with skateboarding and being with your friends?” he wanted to know. Lamont said that he’d be fine going to the continuation school where the teachers are a lot easier. Janice and Shawn explained to me — and to Lamont — that they didn’t expect him to be like his brother or sister, they just want him to pass his classes and be happier. He seemed so down and negative all the time. It seemed clear that Lamont became discouraged when he couldn’t compete with his sister’s and even his younger brother’s achievements, and he quit trying. I could see where his parents were unable to help him find a positive role for himself in the family and a way to feel good about who he is. They felt sorry for Lamont and aside from either encouraging or struggling with him, they were stymied about what to do. Unfortunately, by asking so little of him, they gave him the message that they didn’t think he was capable of more. Deeper conversation revealed that Lamont had musical and artistic interests that were undeveloped, and that he was a sensitive and thoughtful kid. He often looked out for his friends and was protective of his brother and sister to whom he felt very loyal. I explained to Lamont and his parents that happiness and success in life actually have very little to do with grades and achievements. And that I know many academically gifted adults who are unable to put their lives together. I explained that happiness and success have everything to do with character. And Lamont had many personality traits that were the beginnings of strong character, but they had so far not been vigorously developed. I could see that this got everyone’s attention since it created a shift in thinking. Janice immediately agreed and said it made good sense, but they simply didn’t know how to get Lamont to feel good about himself, and to just do his best. They tried to support him and always offered encouragement. They didn’t make him stick with sports he didn’t like, and just wanted him to be happy. It was sounding to me like Janice and Shawn were good at support, but not so good at structure, limits and accountability. With further discussion, I learned that both parents came from families with significant issues. Alcoholism and violence were present in both families, yet there were some safe loving aspects of their childhoods as well. Both Janice and Shawn learned to survive by avoiding conflict and being responsible. As parents, they were good at support and being good role models — they were just uncomfortable enforcing limits. They were acting like the adults they liked, not like the ones they feared. When both parents struggle with setting limits, I call it The Double Softy Syndrome. And in this case, it dramatically undermined their ability to help Lamont build character. Instead they found themselves struggling with him to meet only minimal expectations. I must admit that I was surprised to learn that a police officer had a hard time setting limits. Through deeper discussion, I learned that Shawn was known at work as the gentle giant. Because of his size and gentle manner, he almost always got cooperation from the public. When he had to take action, it was swift and effective. But he had a long fuse and Lamont took advantage of that. I explained to them all that in order for Lamont to do well, he needed to do his best and that just passing was not a good standard. and involving himself in some positive activities that were not academic. After all, he shows musical and artistic interests and talent and he needs to invest in those. He didn’t need to be a standout student or athlete. He just needed to be a standout version of himself. Well, even Lamont cracked a smile hearing that standout could apply to him as well. Family and individual therapy continued regularly for several months. Janice and Shawn built skill and confidence at holding Lamont accountable while remaining emotionally supportive as they had before. Lamont began to feel better about himself as he more actively engaged his responsibilities and began to involve himself in music and art. He and his parents worked out a way for him to earn sound mixing equipment and this became a new passion for him. Counseling sessions began to include Lamont’s brother and sister, as well. And as it turns out, they were not so perfect themselves. Yes, they did well in school and were successful athletes, but they avoided home responsibilities and took their parents very much for granted. They always wanted and were given money when they requested it, but were rarely available to help out in return. We talked about the whole subject of character and how it does and doesn’t relate to success. They all decided to make character a family mission and to demonstrate it both within and outside of the family. They even decided that character needed to be demonstrated as a family as well, and they chose a project to support every season. 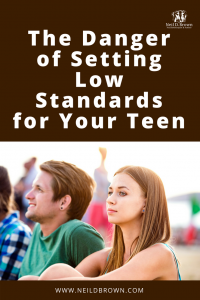 So if you are struggling to get your teenager to meet minimal standards, you might have better luck raising the bar and expecting them to meet high standards. Meeting the high standards of strong character that is. That’s the only place they’ll find happiness and success.